PT Reasuransi Indonesia Utama (Persero) - PT RIU or more popularly called "IndonesiaRe" is a rapid growing state-owned financial services company in Indonesia. 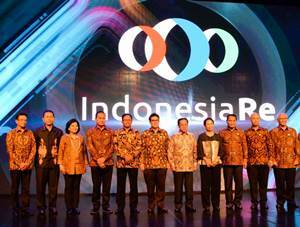 IndonesiaRe has strong business focus on reinsurance industry. IndonesiaRe engaged in providing life reinsurance and general reinsurance. According to IndonesiaRe's company profile as cited by JobsCDC.com, IndonesiaRe was first established in 1985 and originally registered as PT Asuransi Ekspor Indonesia (Persero) or ASEI. The name of PT Reasuransi Indonesia Utama (Persero) officially established in 2016 along with the amalgamation of PT Reasuransi Internasional Indonesia (ReINDO) into PT Reasuransi Indonesia Utama (Persero). IndonesiaRe is based in Jakarta and its head office is registered at Jl Salemba Raya No 30, Jakarta Pusat. Fast learner and highly adaptable in any circumstances or changes. Proficiency in English language both verbal and written is a must. Have a great people skill : strong interpersonal and communication skills. Strong sense of analytical thinking and well-rounded organization skill. JobsCDC.com now available on android device. Download now on Google Play here. Please be aware of recruitment fraud. The entire stage of this selection process is free of charge. PT Reasuransi Indonesia Utama (Persero) - Management Trainee IndonesiaRe April 2017 will never ask for fees or upfront payments for any purposes during the recruitment process such as transportation and accommodation.